Maharajganj (UP), Feb 9: BJP president Amit Shah Friday called illegal migrants a vote bank of the SP and the BSP and also targeted the opposition over the issues of triple talaq and the Ayodhya dispute. He said from Kashmir to Kanyakumari , every intruder will be sent home if the BJP returns to power. Shah said the party remained committed to the construction of the Ram temple at the disputed site in Ayodhya, and challenged the opposition parties to spell out their its own stands on the issue. He was addressing booth-level party workers, in a series of such interactions in the run-up to the Lok Sabha elections. "Should the intruders not be thrown out of the country? Shah asked them, in an apparent reference to migrants from Bangladesh. He said the recent exercise on the National Register of Citizens (NRC) in Assam had identified 40 lakh such people, and the process of throwing them out has started. "If UP elects the Narendra Modi government again in 2019, every single intruder will be ousted from Kashmir to Kanyakumari," he said. 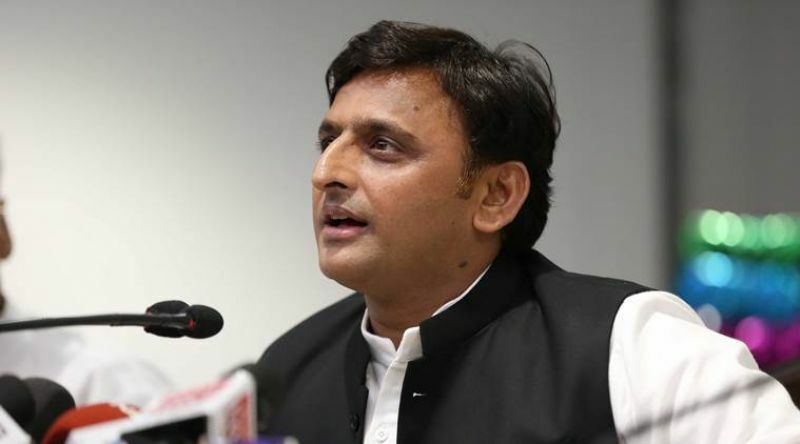 "These intruders may be a vote bank for "bua and bhatija , Shah said, referring to alliance partners Bahujan Samaj Party chief Mayawati and Samajwadi Party president Akhilesh Yadav. For us, it is national security that is most important." The Bharatiya Janata Party chief said all BJP workers want to know the party's stand on the Ram temple. "I want to make it clear that the BJP is committed to building a grand Ram temple at the same place at the earliest," he said. He charged that the Congress wanted the Ayodhya land case taken up only after the elections. He said the faith of crores of people was attached to the case, and asked the Congress, Whom do you want to appease?" "I have said here that the BJP is committed to the Ram temple's construction, but I want to ask bua-bhatija and Rahul baba to clear their parties' stand on it, he said, throwing a challenge at UP's opposition alliance and the Congress. If they do not want it, they should clearly tell the people. Whatever their stand is, the BJP will get a grand temple built there," he said. Shah recalled that the Centre has moved the Supreme Court seeking permission to return the uncontested land adjacent to the disputed site to its original owners.